The actors not only decry Hollywood's persistent stereotypes of Asian Americans, but also a more recent and troubling trend, "whitewashing": "taking Asian roles and stories and filling them with white actors." The term itself is new, and represents a practice different from "yellowface," which refers to white performers using makeup and prosthetics to "play" Asian roles. Not that yellowface has gone away, unfortunately (for an NPR story, "Why We've Been Seeing More 'Yellowface' in Recent Months," click here), but for now attention has turned from transforming white actors into Asian characters to the practice of simply erasing Asian characters from source material and then casting white actors to play these racially scrubbed roles. While acknowledging that it has "never been easy for an Asian-American actor to get work in Hollywood," the Times piece seems to suggest that a combination of hashtag activism, public awareness, and "raw, unapologetic anger" might actually change things, but, then again, Hess concludes, "Whether that translates into change on-screen is an open question." An open question indeed. Hollywood has been here before. Hess's excellent piece unfortunately goes no farther back in Hollywood history than George Takei's Hikaru Sulu in the TV Star Wars series (1966-69) and Margaret Cho's All American-American Girl, which ran on ABC for one season in 1994. 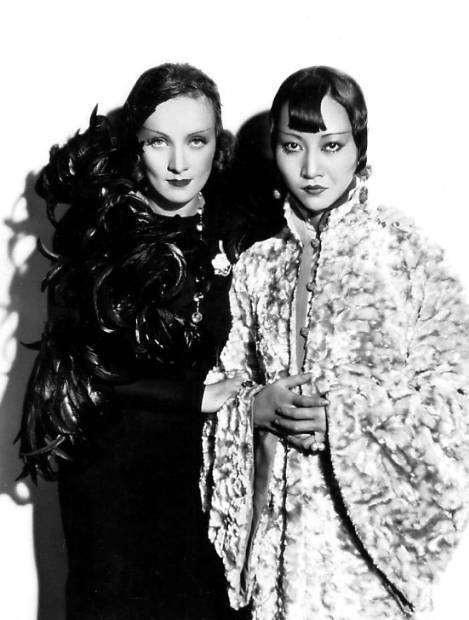 And so today seemed a great day to post about Anna May Wong. Born in Los Angeles, Wong began her film carer as an extra in 1919, but by the time she was seventeen, she had been cast in a leading role in the 1922 The Toll of the Sea, a reworking of the Madame Butterfly story. And that part, unfortunately, signaled the difficulties for Wong--racial stereotyping limited the roles she was offered either to subservient, submissive "China doll" (or "lotus blossom") characters or to predatory, dangerous "dragon lady" parts. She also appeared in a range of roles that called for an exoticized "other"--from a Mongol slave girl (in 1924's The Thief of Baghdad) to the indigenous Keok (in 1924's The Alaskan) and a Native American (to the extent that Peter Pan's Princess Tiger Lily is any kind of representation of a native woman). But mostly her roles were variations on the Butterfly and Dragon Lady stereotypes. Like other actors of color, Wong was limited by racism, but she was also limited by state censorship boards that refused to screen films that contained depictions of inter-racial relationships. Industry restrictions from 1927 known as "The Don'ts and Be Carefuls" included "miscegenation" as a "shall not"--one of eleven "things" that would not "appear in pictures produced by the members of this Association, irrespective of the manner in which they are treated." The eleven "do nots" and the twenty-five "be carefuls" were formalized in the Motion Picture Producers and Distributors Association (MPPA) Production Code of 1930, frequently referred to as the Hayes Code. Wong moved to Europe, where she had a spectacular career, culminating in her last silent film, Piccadilly, from 1929. She returned to Hollywood and took one more dragon-lady role, playing Fu Manchu's daughter Ling Moy in the 1931 Daughter of the Dragon (Fu Manchu was, of course, played by the Swedish-American Warner Oland in yellowface). After Shanghai Express, Wong again found only stereotypical roles offered to her, and she again sought work in Europe, returning to the U.S. in 1935, hoping to play the role of O-lan in the film version of Pearl S. Buck's The Good Earth. Who could be better cast in this role than Wong? Unfortunately, the role went to the Austrian actress Luise Rainer, who played the role in yellowface--and won an Academy Award. Wong continued to work on stage, on television, and in film throughout her life. But as with today's Asian-American actors, she found too many of the roles to be caricatures, too few giving full scope to her talent. 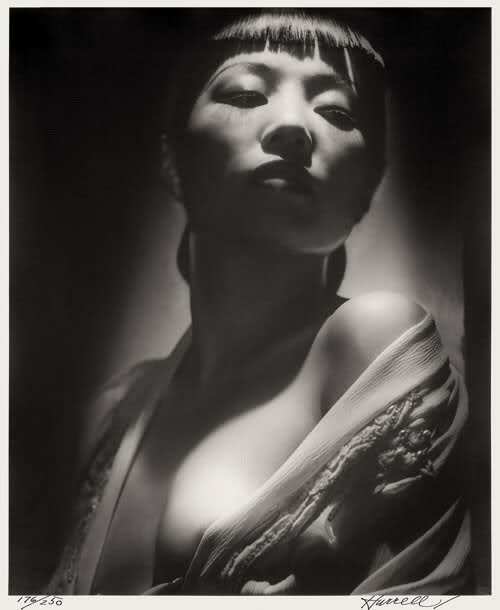 As filmmaker Yunah Hong, whose documentary Anna May Wong: In Her Own Words premiered on PBS in 2013, notes, "When her film roles were limited, she traveled around Europe performing in cabarets, polishing her talents as a singer, dancer and monologuist. When MGM didn't cast her in The Good Earth, a film set in China, she went to China anyway and filmed her trip. Long before anyone was called a 'community activist,' she devoted herself to the Chinese American community's war effort during World War II." In 2008, Turner Classic Movies broadcast an incredible series, "Asian Images in Film." Luckily, you can still read the introductory essay (click here), see the entire schedule (you can reproduce the TCM film series for yourself! ), and read about Jeff Adachi's documentary The Slanted Screen. 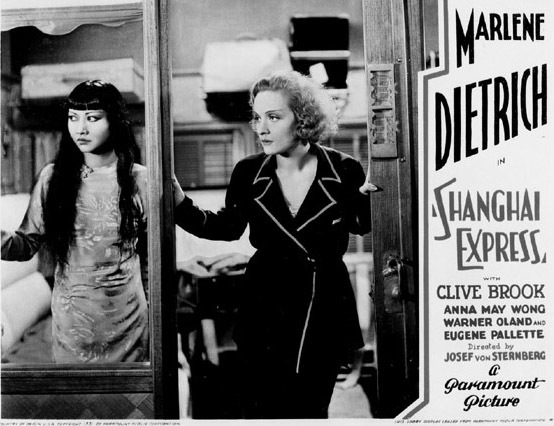 You will also find an extended essay on each of the 35 films in the series, as well as find information about another documentary, Elaine Mae Woo's Anna May Wong: Frosted Yellow Willows: Her Life, Times, and Legend (2008). There are many spectacular images of Wong online--depicting her in the stereotypical roles of China doll or Dragon Lady. They are gorgeous, and you can seek them out if you want. But I chose not to include any of them here.